We strive to utilize every little piece of the log possible. This week at our mill in Brazil we cut some kiln sticks from smaller stock to better utilize as much of our logs as possible. 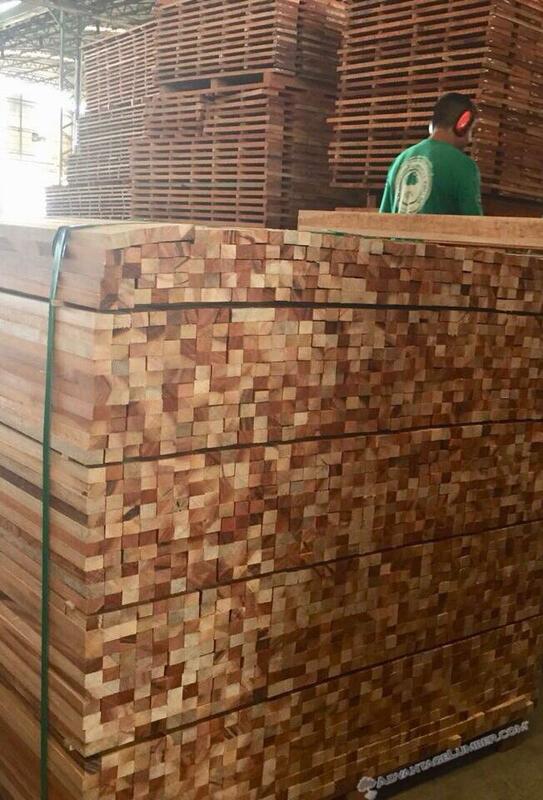 Our kiln sticks are shipped to lumber drying facilities in the US where companies utilize them to separate lumber for proper airflow during the drying process. You can see some of our flooring blanks “stacked on stick” in the background, with each layer having a perpendicular kiln stick for separation. Whats so special about these kiln sticks? They are made from various South American hardwood species that are incredibly hard, durable, insect resistant, rot resistant and have a much longer life span compared to kiln sticks that are cut from American species like Ash, Oak and Pine. These hardwood kiln sticks will save lumber drying facilities money in the long run and help them produce a more stable product and reduce sticker stain. This entry was posted in Mill Operations on July 6, 2018 by theipeguy.